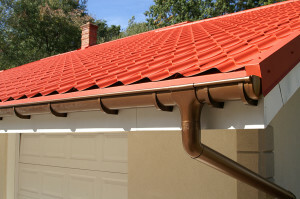 The rain gutters offered by ABC Seamless of Albuquerque to homeowners in Tijeras, New Mexico, or another surrounding area, present you with the best protection against the rare moments of heavy rainfall experienced throughout the Southwest. Our durable, seamless gutters are accurately measured, cut, and manufactured on-site to ensure a seamless fit, and they are approximately 30 percent wider than traditional gutter systems, allowing them to effectively handle more rainfall and redirect it away from your home’s foundation. Furthermore, we offer a diverse assortment of additional gutter products, ranging from downspouts to gutter guards that are available in matching colors, so you can be sure that your home will be both aesthetically pleasing and well-protected from the elements with our gutters installed. To learn more about the phenomenal rain gutters and other products offered by ABC Seamless of Albuquerque to homeowners in Tijeras, NM, or any other surrounding area, contact us today. Alternately, feel free to stop by our showroom to see all our products in person.